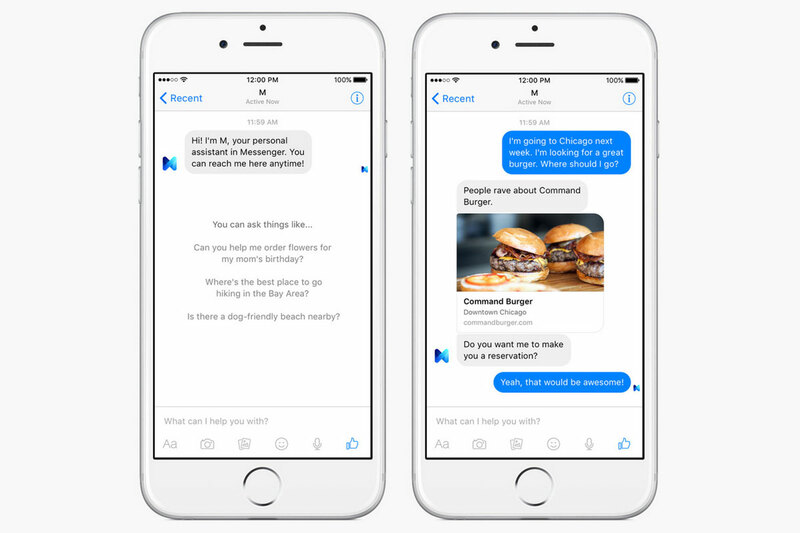 Remember that talk of Facebook testing its own virtual assistant? Well, it's real. The social network is trying out M, an artificial intelligence-powered Messenger assistant that can answer questions and complete tasks. You can ask it for advice on places to go, for instance, or have it make travel arrangements. Think of it as a Siri- or Cortana-like helper that exists solely in text chat. It should be less likely to make mistakes, though, as Facebook is quick to note that there are humans training and supervising the AI behind the scenes. And in case you're wondering, it only bases its conversations around Messenger -- it's not using your regular Facebook data to make decisions. Don't expect to give M a spin just yet. It's only in use by a few hundred people in the San Francisco Bay Area, and it could take a long while to scale up if it proves successful. However, a wider rollout seems like more a question of "when" than "if." Facebook has been dramatically expanding the role of Messenger as of late, turning it from a basic communication tool into a platform for everything from games to money transfers. It only makes sense that the company would take the next logical step and make Messenger the go-to place to get many tasks done.